My latest column in the Maple Ridge News of Jan. 31, 2015 is about Vancouver General Hospital's Cycling Centre. I often wonder why health authorities and cities are not more actively working together to encourage and promote active transportation, since the benefits of active transportation, both to individuals and to society as a whole, are overwhelmingly clear. Where cities provide safe and convenient alternatives to the car, individuals tend to be healthier and happier. That means huge savings to the health care system. More people walking and biking leads to lower health care costs both through a reduction in diseases related to a sedentary lifestyle and through a reduction in car crashes resulting in severe injury or death. Physically active employees also tend to be more productive employees. Sometimes, the health authorities get it. Last Summer, hubbie Ivan (chair of our HUB committee) and I were given a private tour of Vancouver General Hospital's brand new, state-of-the-art Cycling Center. 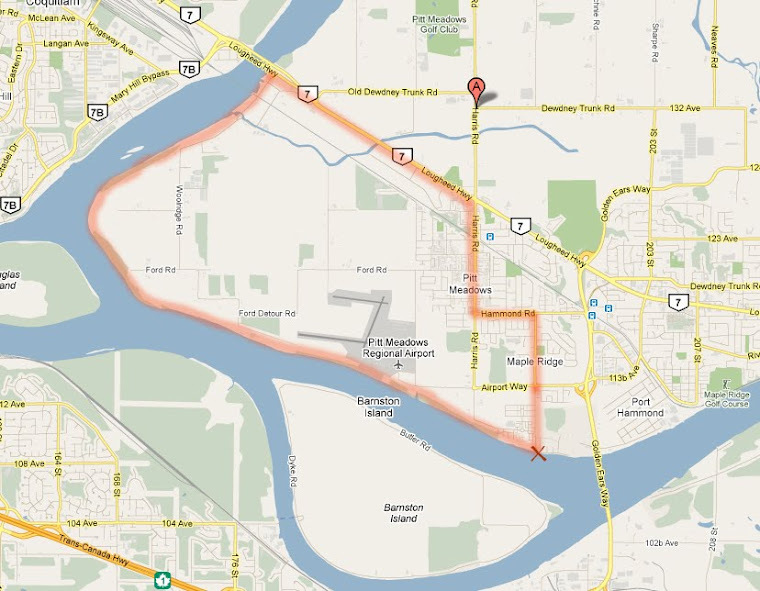 Our guide was Arthur Orsini, VGH's Active Transportation Facilitator. The Cycling Centre, which offers secure bike parking for hospital employees, is the brain child of VGH's HR Manager Kevin MacDuff, who also joined us. 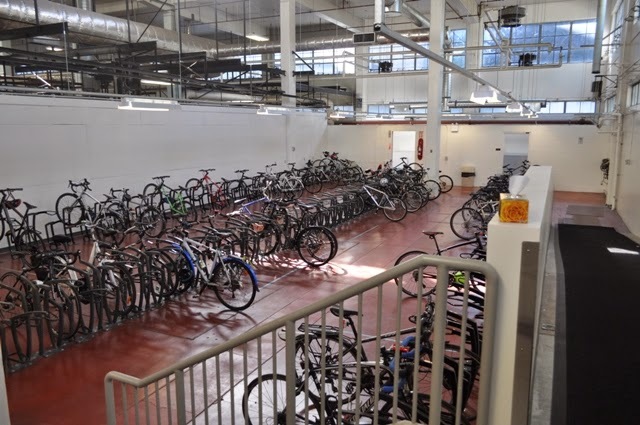 After extensive consultation with cycling employees, the old laundry building was converted into a bike parking area with space for 182 bikes. A significant amount of thought and effort went into designing, equiping as well as marketing the facility. The Cycling Center offers showers, and lockers that are well ventilated, so that wet rain gear is dry by the end of the employee's shift. Bike tools, bike stands and pumps are available for needed maintenance or repairs. For those leaving the Cycling Center late at night, a monitor by the door helps to make sure that no creeps are waiting right outside the door. Some finishing touches have proven to be quite popular. Any cyclist knows how handy it is to have some tissue at hand after a ride, especially on a cold day. A box of Kleenex is strategically positioned by the door. The bike lock storage rack is useful too; you don't need to carry a heavy lock back and forth between home and work. Free monthly workshops are held for employees, such as a Streetwise Cycling Course and various bike mechanics workshops by HUB, bike yoga, as well as bike festivals and social gatherings. Arthur mentioned that one doctor who participated with the mechanics workshop afterwards proudly mentioned to him that she had successfully changed her tube. Arthur plans to start with a buddy program this Spring, which partners a beginning cyclist with a more experienced one living in the same area, to help build some confidence and learn routes. The low membership fees are flexible and cover the maintenance and operation of the facility. The Center now has over 180 members. Actual usage goes up and down, mainly depending on weather conditions. Last summer, 55 members were using the facility on a daily basis. The majority of hospital employees are female, which is reflected in the majority of users being women. We spoke with several of them. 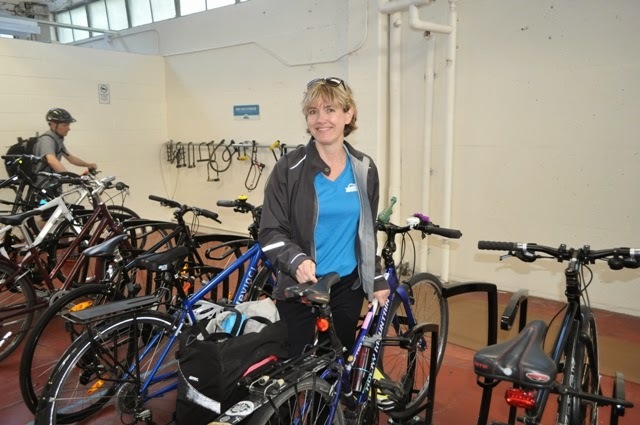 Melanie, who bikes from UBC to the hospital, loves the Cycling Center. She said she used the outdoor bike cage before, but didn't feel it was all that safe. Sometimes bikes got stolen from it. She had to pay for a membership to the gym to take a shower. She said the lockers in the new facility are great, because by the time you've finished your shift, your bike outfit is all dry and ready to go. It's also nice to be able to leave all your stuff overnight. Elinor, a nurse, loves the feeling of community at the Cycling Center. She has a coordinating function, and hers is more of a desk job, so the exercise that her 20-minute commute provides is very welcome. Meilan, a business analyst admin, lives by Stanley Park. She appreciates the convenience of being able to change into her work clothes at the facility. She started biking, three times a week, soon after the Cycling Center opened. She used to only bike in the winter because of lack of shower facilities. 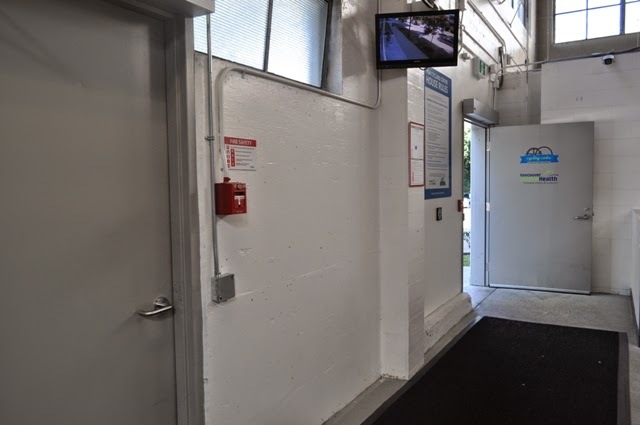 As companies and health authorities clue in to the many benefits of catering to and even pampering cyclists, hopefully more end-of-trip facilities such as the VGH Cycling Center will start popping up.